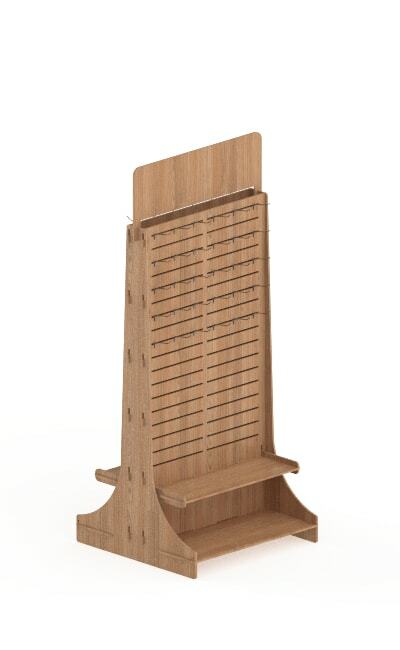 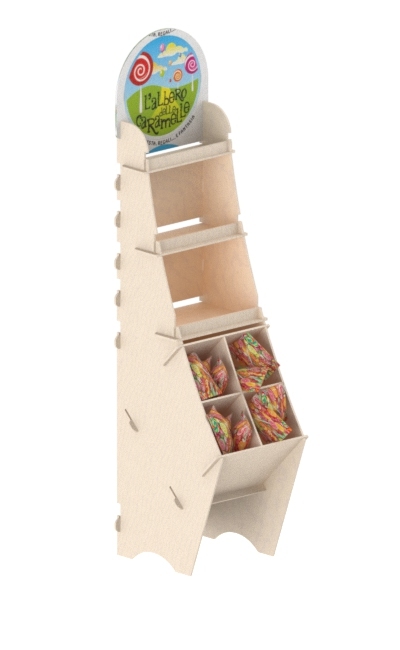 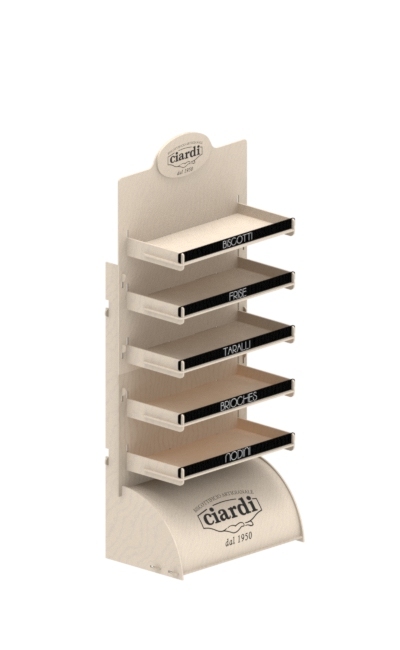 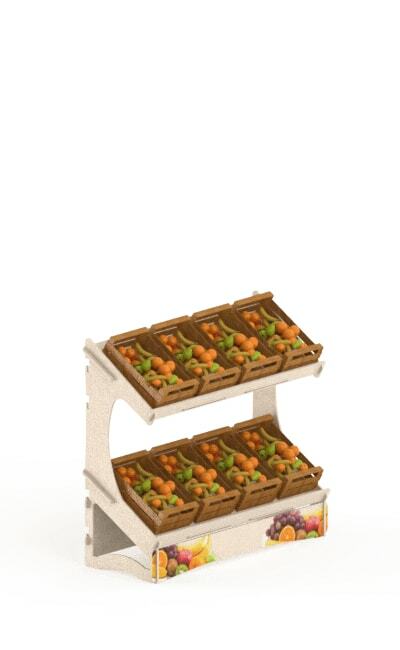 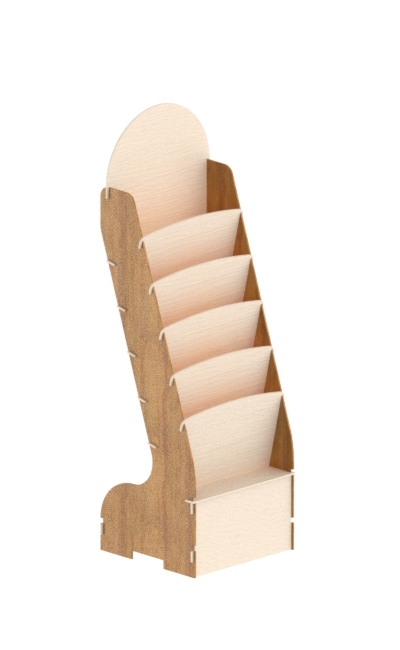 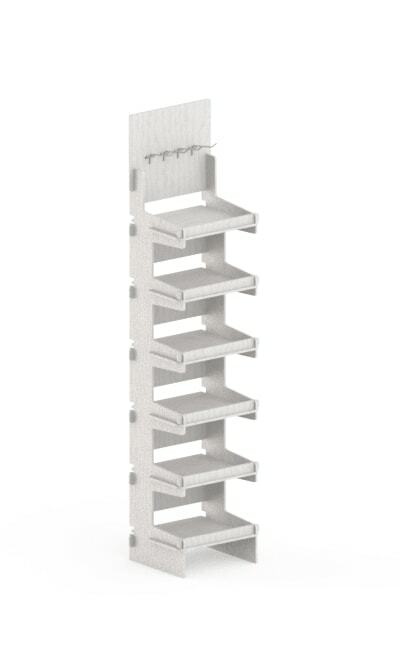 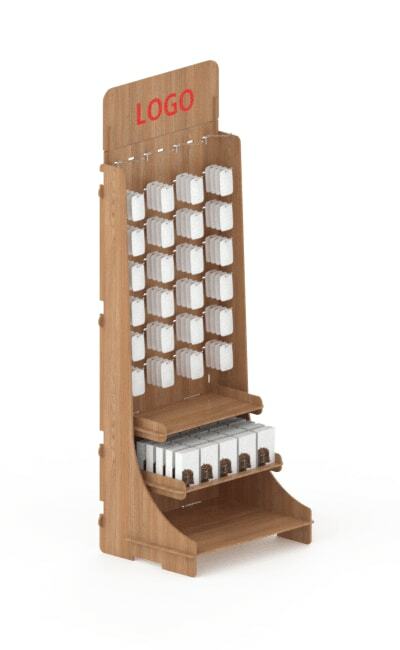 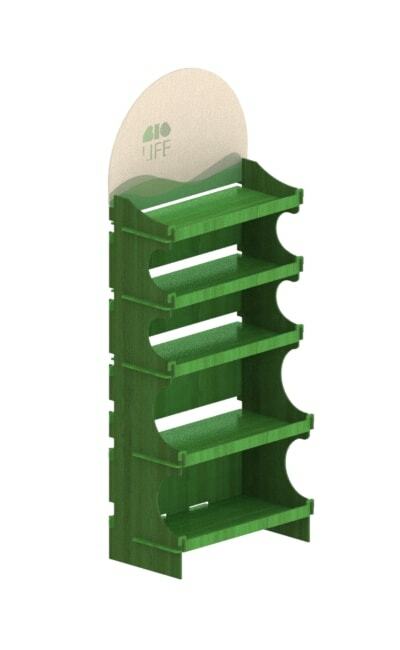 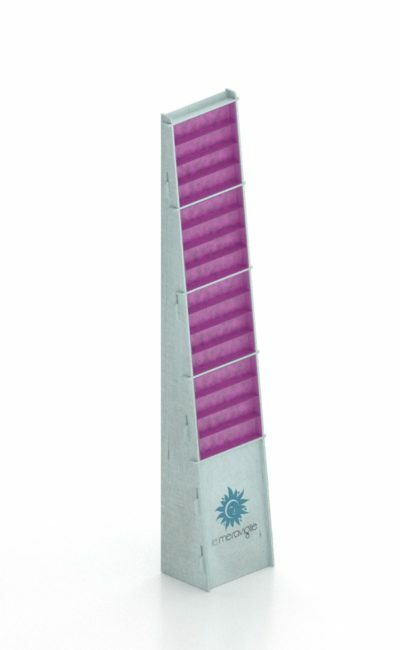 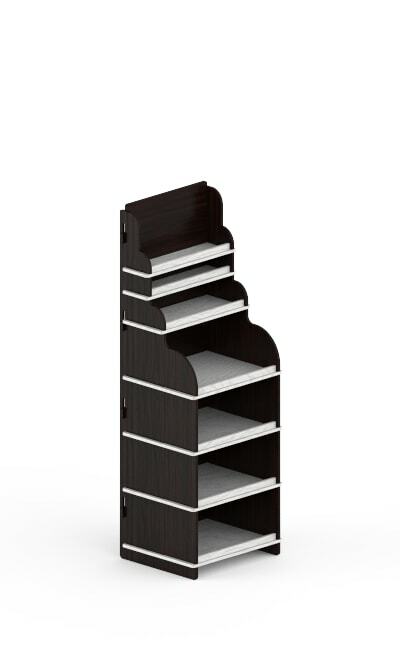 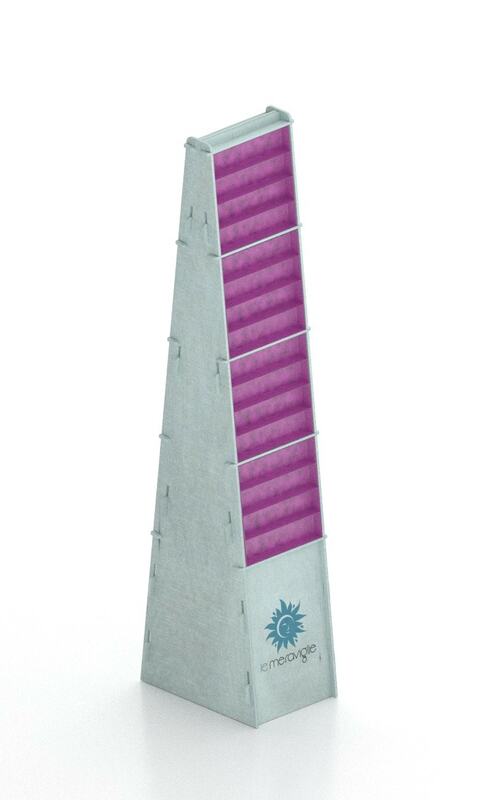 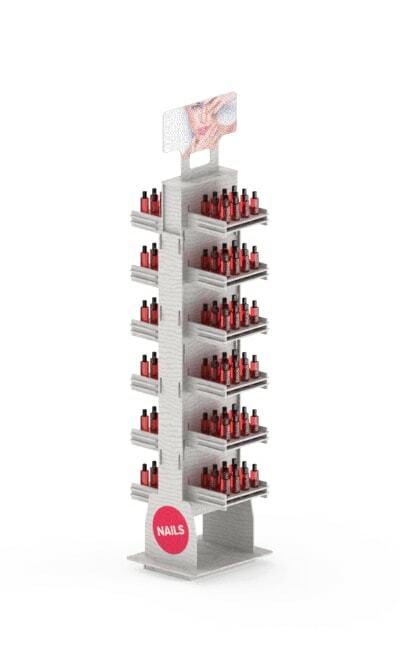 Promotional wooden stand display in birch with 9 mm thickness. 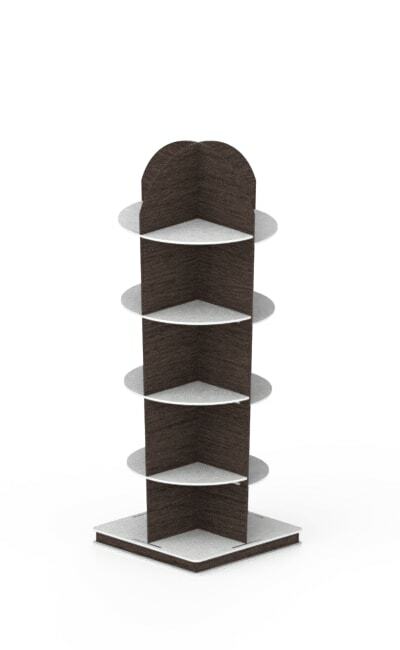 Four embossed shelves at interlocking system. 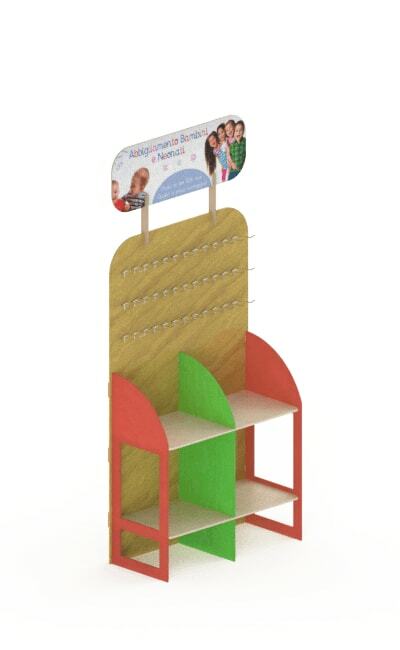 Base and side with large advertising space.